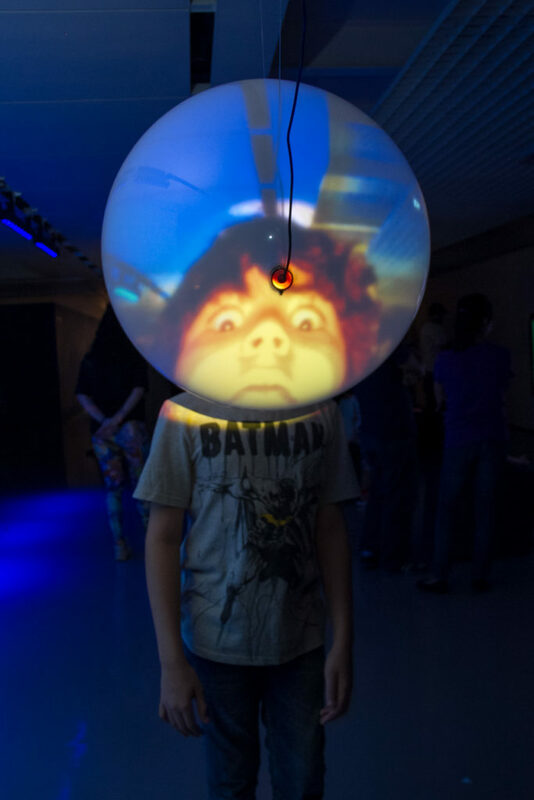 “On Shame” is a digital interface shaped as a dome mirror, which distorts the person looking into it. This work belongs to the Psicossoma?ticos series. Developed in cooperation with Scott Simon while on residency in the Creativity and Cognition Studios in UTS, University of Technology Sydney, Australia. Anaisa Franco, born in 1981, graduated in Visual Arts at FAAP, São Paulo, in 2004, and finished her MA in Digital Art and Technology at the University of Plymouth, England, UK, in 2007. Since 2005, she has been developing works in Medialabs by means of residencies and fostering in institutions such as Medialab Prado, Mecad, Mediaestruch and Hangar in Spain, MIS and SP_Urban in São Paulo, Taipei Artist Village in Taiwan, China Academy of Public Art Research Center in Hanghou, China, Cite des Arts in Paris, ZKU in Berlin, Creativity and Cognition Studios and VIVID Sydney in Australia. Since 2002 she has carried out international exhibits in Europe, Australia, Asia and the Americas, for instance: EXIT Festival in France; ARCO Madrid in Spain; Europalia in Brussels; Live Ammo at the MOCA Museum of Contemporary Art in Taipei, Taiwan; TÉKHNE at the MAB in São Paulo; Sonarmática at the CCCB Centre de Cultura Contemporània de Barcelona in Spain; the 5th Seoul International Media Art Bienalle in Seoul, Korea; Vision Play at the Medialab PRADO; Experimenta Biennial in Australia, among many others. She is represented by the Galeria Adora Calvo in Spain.